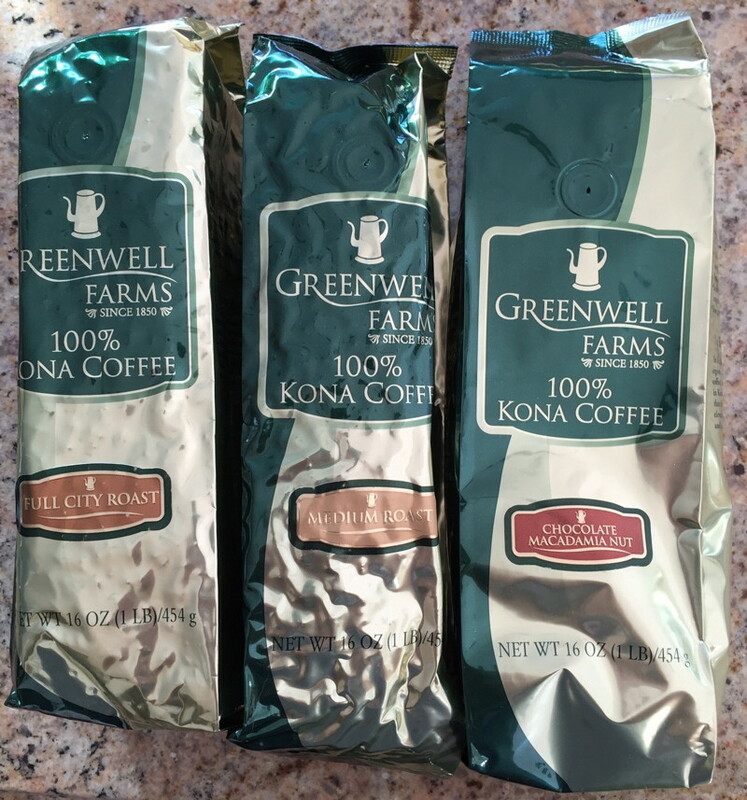 Yesterday I received my big coffee order from Greenwell Farms on Hawaii. Great Kona coffee, and they have a free shipping deal on orders over $100 every year around this time (through December 11 if you’re interested). I can recommend all three of the varieties below. They have dark roasts, too, but I’m not into dark roasts generally, so you’ll have to try them yourself. They’re also well worth visiting if you’re ever on the Big Island yourself.